The leading global custody players are all huge. Increasingly, they distinguish themselves with service and technology offerings. Before the ink was even dry on J.P. Morgan Chase & Co.'s $59 billion acquisition of Bank One Corp., speculation started that the banking giant would unload all or part of its huge investor services operation. J.P. Morgan Chase, the thinking went, would prefer to invest in more-profitable retail and investment banking activities rather than continue to plow money into a low-margin back-office business that requires massive technology spending and a steady diet of acquisitions to keep pace with a handful of equally huge rivals. The speculation was logical -- but wrong. "Operating services are a core franchise, extremely critical to the future of this organization," declared Heidi Miller, the former Bank One CFO who is J.P. Morgan Chase's new head of treasury and security services, in a press conference on July 7, six days after the merger was consummated. "The potential of the merged firm enhances the value of these businesses substantially." The rumors, Miller suggested, may have been the result of envy or wishful thinking in a business where scale is extremely important. With $8 trillion in total custody assets, the New York­based bank ranks third in the industry, behind Boston's State Street Corp. ($9.4 trillion) and Bank of New York ($8.6 trillion) and ahead of Citigroup's Citibank ($7 trillion). In global, or cross-border, custody assets, J.P. Morgan Chase's $2.6 trillion is second only to Citigroup's $4.2 trillion, according to Institutional Investor's annual international custody ranking (see table). 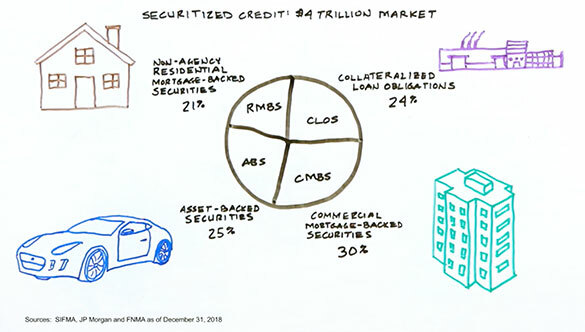 Excluding global assets managed as subcustodians, State Street ($2.1 trillion) comes out on top, followed by BoNY ($1.97 trillion), J.P. Morgan Chase ($1.96 trillion) and Citigroup ($0.95 trillion). The investment services group, which includes custody and other processing activities, is a solid contributor to J.P. Morgan Chase's financial health. It kicked in $2.3 billion of the bank's $18.5 billion in consolidated first-half operating revenues and $240 million of $3.76 billion in operating earnings. Investment services' return on allocated capital of 15 percent trailed retail and investment banking (both 23 percent) but was nearly double the 8 percent of investment management and private banking. J.P. Morgan Chase has been beefing up its capabilities as major investment managers consider outsourcing their back offices and demand that custody banks broaden their securities services. Two years ago, for example, the bank acquired Plexus Group, a Los Angeles­based consulting firm specializing in transaction-cost analysis -- a response to State Street's 1999 purchase of Plexus rival Elkins-McSherry. And in March, J.P. Morgan Chase extended its global reach with an agreement to acquire South African fund administrator TASC. In fact, recent deal making by J.P. Morgan Chase and its rivals suggests that global custodians have moved beyond asset accumulation and are focusing on strategic transactions that bring in new products, services, technology and talent. Recent examples include London-based HSBC Bank's purchase of offshore fund administrator Bank of Bermuda and BoNY's taking a majority stake in London's Netik, which offers a specialized data warehouse for asset managers. "In more and more bids, we see the asset manager looking for a new warehouse," says BoNY senior executive vice president Thomas Perna. "One reason we invested in Netik is we thought it would be a good differentiator." Size matters, but it's not the sole criterion for winning new business, says Frederick Waddell, president of corporate and institutional services at Chicago's Northern Trust Co. (No. 9, with $760 billion in global custody assets). "A minimum amount of scale is absolutely essential," he asserts. "It is important that you have depth and breadth [and the ability to spend] hundreds of millions of dollars a year on technology." That's not a problem for Northern Trust, he says, because the bank earns the majority of its profit from wholesale and institutional services and isn't distracted by the retail branch networks or credit card operations of a universal bank like Citi or J.P. Morgan Chase. In the year ended in March, Northern Trust increased its total custody assets by 44 percent and its international portion by 60 percent -- growth at global custody's Big Four was appreciably slower, ranging from 19 percent to 35 percent. But the importance of scale is evident in absolute terms: Northern's $700 billion increase in total assets, to $2.3 trillion, contrasted with gains of $1.8 trillion at BoNY, $1.5 trillion at State Street and $1.3 trillion at J.P. Morgan Chase. State Street added more than $500 billion from two new clients alone, Deutsche Asset Management and Scudder Investments. At the July press conference, J.P. Morgan Chase's Miller stated the case for bigness: "What differentiates us is scale, the depth and breadth of our products and the strength of the overall firm," she said. "It's important, from a fiduciary standpoint, to know that the firm is here today and will be tomorrow." In lockstep with its bigger rivals, BNP Paribas is promoting add-ons such as performance measurement, reporting and attribution and risk analysis, all integrated with data warehousing and custody services. "These capabilities are extremely onerous for medium-size and even large asset managers, so we see a tremendous opportunity in getting them to outsource," says Michel Laurent, head of products and marketing at the Paris-based bank. Key to BNP's surge was its 2002 acquisition of multinational asset administration outsourcer Cogent from Australian financial services firm AMP. "Before, we were no more than a traditional global custodian," explains Laurent. "Now we can offer a one-stop shop that covers as much as possible in the needs of an asset manager." BoNY's Perna says that BNP has earned a place -- along with BoNY, Citi, Mellon, J.P. Morgan Chase, Northern Trust and State Street -- among those likely to contend for leadership through astute acquisitions and technology investments. "Three years from now they won't all still be there," he says, "but I can't predict which ones will." The survey is based on information provided by the custodians to II.Researcher Michele Bickford gathered the data under the guidance of Senior Editor Jane B. Kenney.